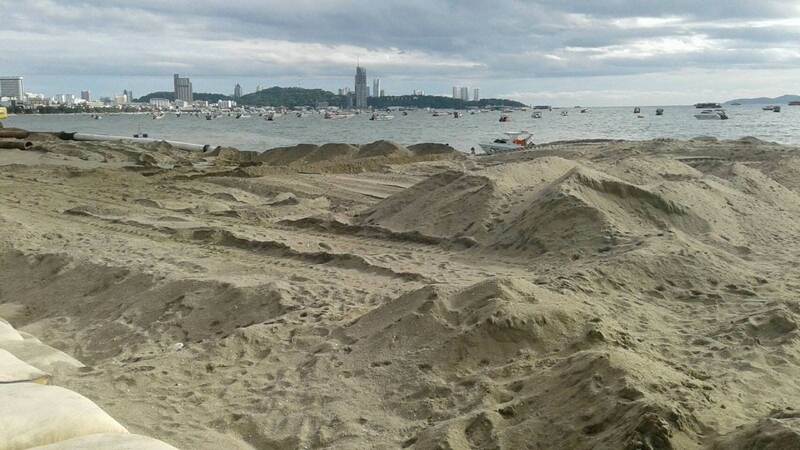 An enthusiastic Pattaya News is reporting that, in relation to the restoration of the beach in Pattaya, it was only a matter of time before the tourists came flooding back to the sands. 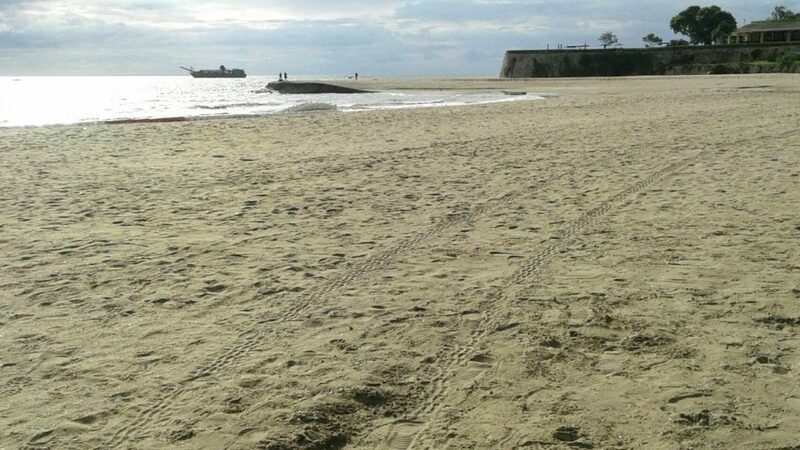 The report is from a meeting where it was declared that 400 metres of the restoration work was done meaning that 100 metres was back in the hands of beach operators. 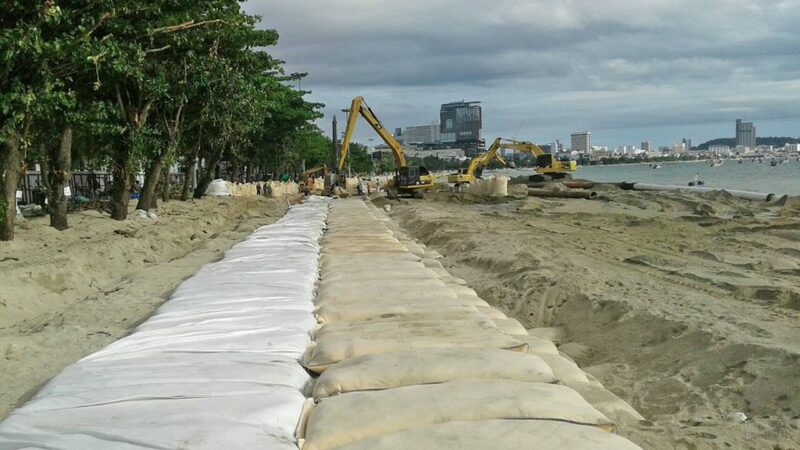 The sand is coming from Koh Rangwian in a 430 million baht project to widen the beach by 3.5 metres. The beautification began near the Dusit Thani Hotel back in January but has suffered some stop/start problems. However, now everything is running smoothly. Pattaya News said that the “Pattaya Model” will make the resort a top class world beach destination and the new sands will have the tourists flooding back. Read more headlines, reports & breaking news in Pattaya. Or catch up on your Thailand news. Whilst most of us have hung up our water pistols last Saturday or Sunday following Songkran revellry, punters in Pattaya have been hard at it all week. But after 9 days of water wastage and Songkran celebrations, the annual festivities come to a close in parades and official festivities today and tomorrow. Officially, according to the Pattaya Mail, April 19 is the final day of Pattaya’s Songkran celebrations. Ceremonies are being held today at Chaimongkol Temple. Alms offerings and elderly blessing ceremony were held early this morning and cultural shows continuing during the day featuring dancing and traditional games. 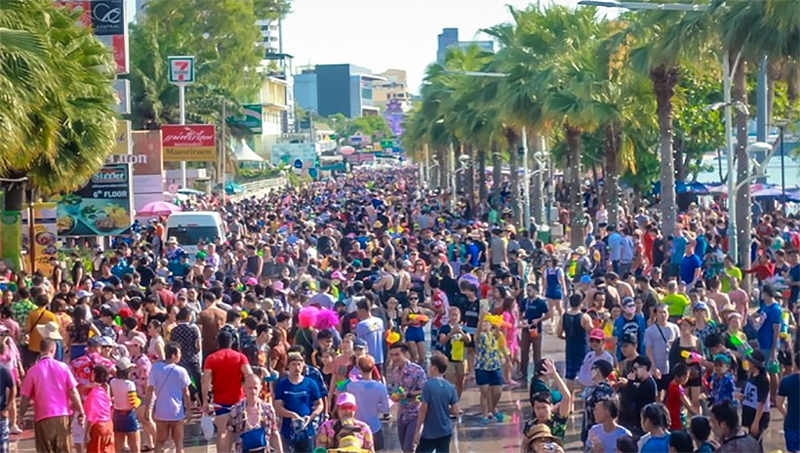 Pattaya’s Songkran parade started at noon along Second Road, Central Road and back along Beach Road to Bali Hai Pier before returning to the temple. Pattaya officials reminded revellers that powder and chalk isn’t permitted, along with high-power water guns. Water-throwing is ‘meant’ to stop at 6pm, but… well… Songkran! Tomorrow, April 20, the Rice Festival in Naklua, with no water throwing, officially draws the mid-April events to a close. The meteorological office (TMD) says there could be localised severe thunder storms for the entire upper area of the country until Tuesday. 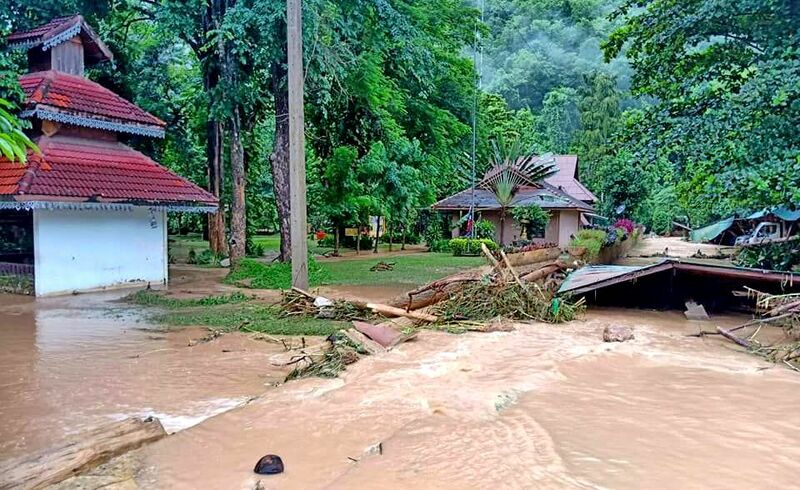 The north, north-east, eastern seaboard and central regions, including Bangkok and surrounding areas could all be randomly hit by tropical thunderstorms. The TMD office director Phuwiang Prakhammin has warned of rain storms, thunder and lightning, high winds and even hail. Central: Nakhon Sawan, Uthai Thani, Chai Nat, Sing Buri, Ang Thong, Ayutthaya, Lop Buri, Saraburi, Suphanburi, Ratchaburi, Kanchanaburi, and Bangkok. 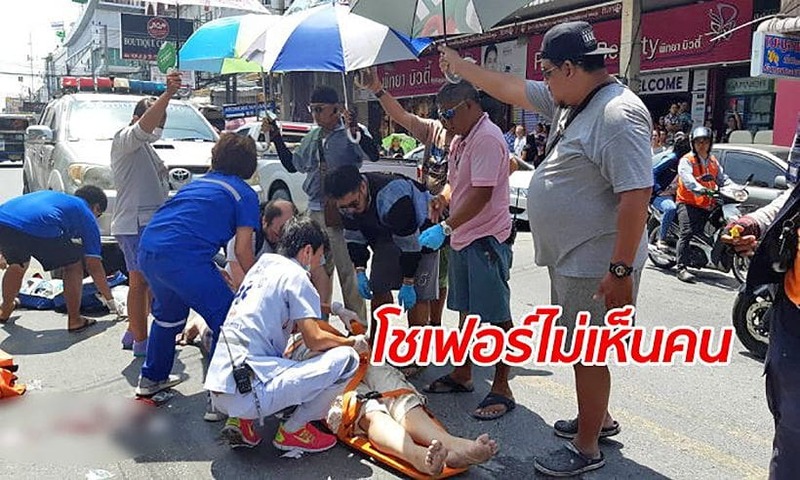 A foreign man remains in a serious condition after being knocked down and dragged under a Chinese tour bus in South Pattaya on Friday. Tourists on the bus were horrified as the tourist was pulled out from under the bus. The man’s left arm was detached and he was unconscious, according to Sanook. Sawang Boriboon foundation medics performed first aid at the scene by bystanders rushing to provide shade with their umbrellas. The man was stabilised then rushed to Muang Pattaya Hospital. His identity and nationality have not been revealed. The 47 year old tour bus driver, Parinya, claims he didn’t see the pedestrian. He says he only became aware of the issue when a member of the public screamed that someone was being dragged under his bus. The accident happened in the road leading to South Pattaya around 11.30 am Friday morning.